Isiah Factor | The Insite » HPD COPS ACCUSED OF BRUTALLY BEATING DRIVER CLEARED! HPD COPS ACCUSED OF BRUTALLY BEATING DRIVER CLEARED! December 30, 2008 | Posted in Uncategorized | Comments Off on HPD COPS ACCUSED OF BRUTALLY BEATING DRIVER CLEARED! ARE YOU SURPRISED BY THIS VERDICT? An internal investigation has cleared three officers of any wrongdoing in connection to the alleged November beating of a NFL player’s father. HPD Officers B. Guzman, G. Cruz and M. Marin and a third officer are expected to return to their regular patrol duties immediately, according to an official Houston Police Department statement. The three officers were placed under administrative leave after Marvin Driver, father of Green Bay Packers Wide Receiver Donald Driver, accused them of beating him during a traffic stop Nov. 17. 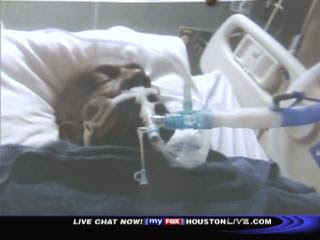 As the officers escorted Driver to the jail, he became unresponsive and was transported to Memorial Hermann Hospital. While he was at the hospital, Driver accused the officers of beating him. However, the internal investigation could not disprove nor verify the allegations placed against the officers, and two independent witnesses gave detectives stories similar to that of the officers, according to the statement. The investigation states witnesses said Marin, who was accused of beating Driver, remained inside his patrol vehicle, and there was no indication an assault or altercation took place.